The headline indices tumbled as caution prevailed ahead of the general budget due next week, and as weak crude prices continued to weigh on global sentiment. Railway Minister Suresh Prabhu failed to enthuse Dalal Street with Rail Budget 2016 as the S&P BSE Sensex extended losses for the third straight day to end below its crucial psychological level of 23,000, while broader CNX Nifty settled below its key 7,000-mark. The 30-share index ended the day at 22,976, down 112.93 points, while broad-based 50-share index quoted 6,970, down 48.10 points at close. Market breadth remained negative with 21 of the 30 Sensex components ending the day in red. The railway budget comes before the government unveils general Budget 2016 on Monday amid worries it will widen its fiscal deficit targets to boost economic growth through increased spending. The budget this year comes at a time when weak crude prices are hurting global sentiment. China's economy also remains a concern, with Chinese shares tumbling more than 6 per cent as investors booked profits. 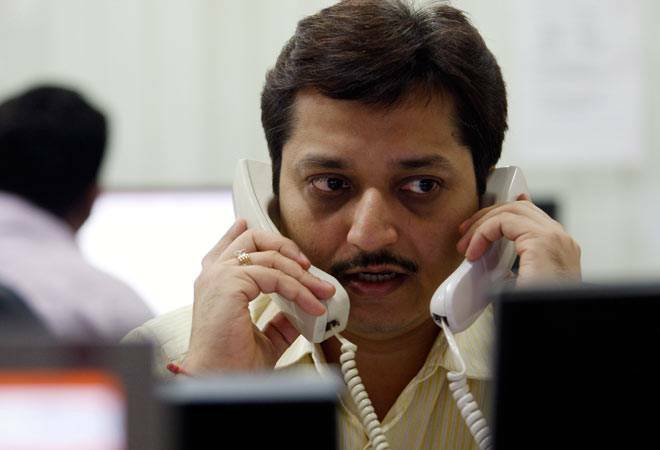 "This year we haven't seen any pre-budget rally so expectations are running really low and because of the external environment, market is still trading very muted," said Rikesh Parikh, vice-president of equities at Motilal Oswal Securities. Railway sector-linked stocks Kalindee Rail Nirman and Titagarh Wagons fell 9.26 per cent and 8.40 per cent, respectively amid lack of any big-bang reforms by the Rail Minister Suresh Prabhu in the budget. Bucking the trend, power lenders Rural Electrification Corp and Power Finance Corp rose between 2.35 per cent and 4.09 per cent after HSBC upgraded both stocks to "buy" from "hold," citing valuation. Among Asian markets, China's Shanghai Composite ended 6.41 per cent lower, Hong Kong's Hang Seng index fell 1.58 per cent, while Japan's Nikkei bucked the trend to gain 1.41 per cent.